In order to effectively reduce your waste, you have to know what you’re throwing away. That’s why two weeks ago I spent my morning elbow deep in my son’s school trash. 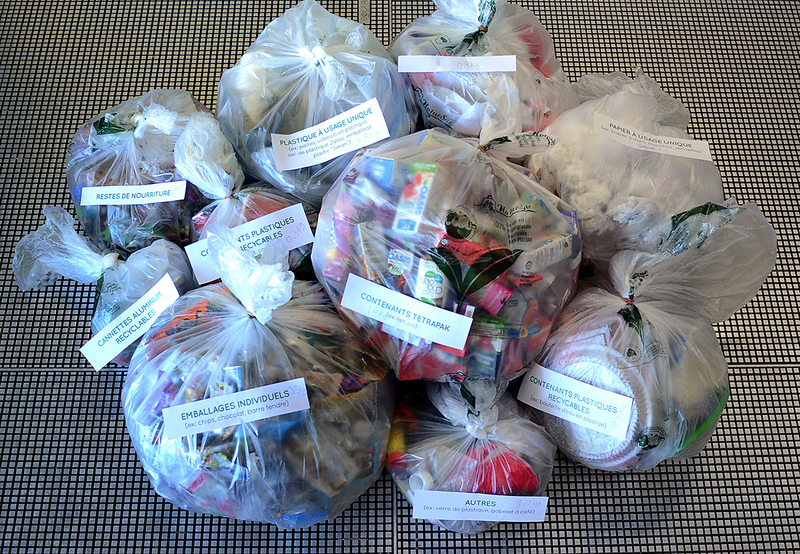 With the help of the school janitor, two teachers, another dedicated mom and the six students in our zero waste committee, we sorted through all the trash produced by the school in one day and separated it into 10 categories. While the exercise was admittedly pretty gross, it was a big eyeopener as well. We discovered that 90% of waste in the school’s trash cans came from food: snacks and lunches! That means we can drastically reduce the school’s waste output simply by encouraging families to pack zero waste lunches. The biggest culprits were Tetrapak drink cartons, snack wrappers and single-use plastic.